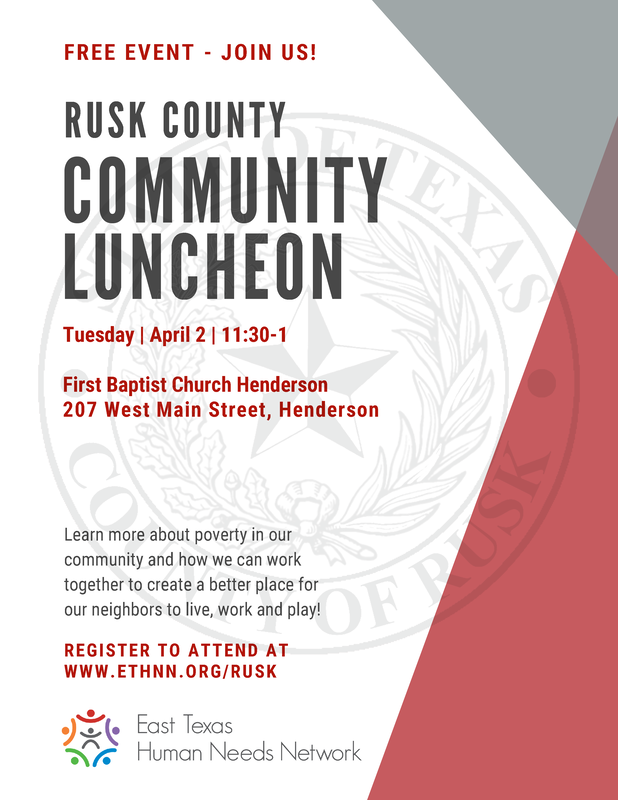 During the Community Luncheon, learn more about poverty in our community and how we can work together to create a better place for our neighbors to live, work and play! 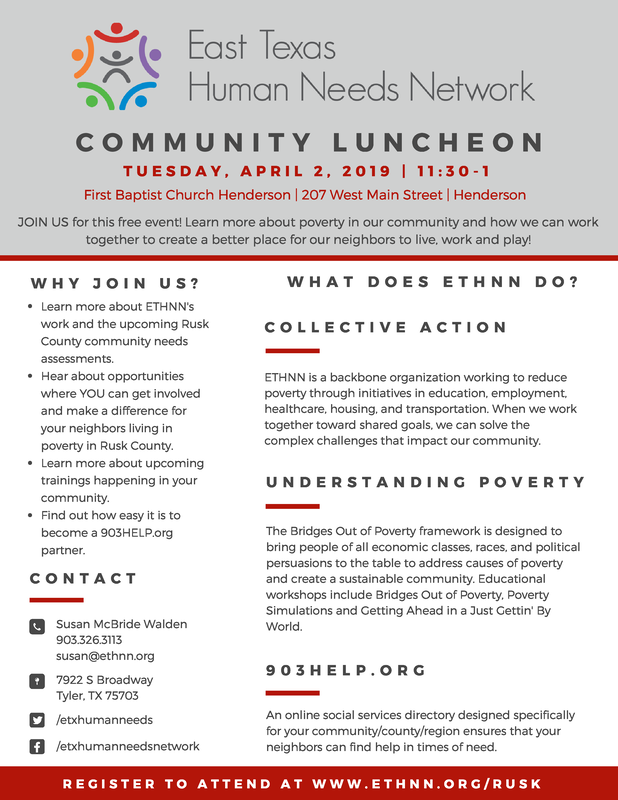 Christina Fulsom, Founder and CEO of the East Texas Human Needs Network will discuss the complexity of poverty and the promising impact of collective action in the areas of education, employment, health, housing, and transportation. The goal is to invite the community to establish a Network where diverse individuals and organizations work toward strengthening programs, establishing connections, and improving awareness of services that meet essential human needs. ETHNN is a backbone organization working to reduce poverty through initiatives in education, employment, healthcare, housing, and transportation. When we work together toward shared goals, we can solve the complex challenges that impact our community. The Bridges Out of Poverty framework is designed to bring people of all economic classes, races, sectors, and political persuasions to the table to address causes of poverty and create a sustainable community. Educational workshops include Bridges Out of Poverty, Poverty Simulations, Getting Ahead in a Just Gettin' By World, and Bridges to Health and Healthcare. An online social services directory designed specifically for your community/county/region ensures that your neighbors can find help in times of need. Register to attend this free luncheon by clicking on the button below.